Making Dinner. Saving Time. Saving Money. Remove and discard neck from chicken then rinse and pat dry with a paper towel. Season chicken generously with poultry seasoning. Melt butter over medium-high heat in Dutch oven or large skillet that can be transferred to oven. Add milk, zest from both lemons, juice from one lemon, cinnamon sticks and rosemary. Cover chicken with oven-safe lid or aluminum foil and transfer to oven to cook for 45 minutes. Remove lid and cook for an additional 30 minutes or until internal thermometer reaches 160⁰. Serve chicken carved with sauce from pan spooned over the top. I had been wanting the Le Creuset cookware set for some time but had always let the price deter me from purchasing. Then I realized that buying these beautiful pots was well worth the investment. 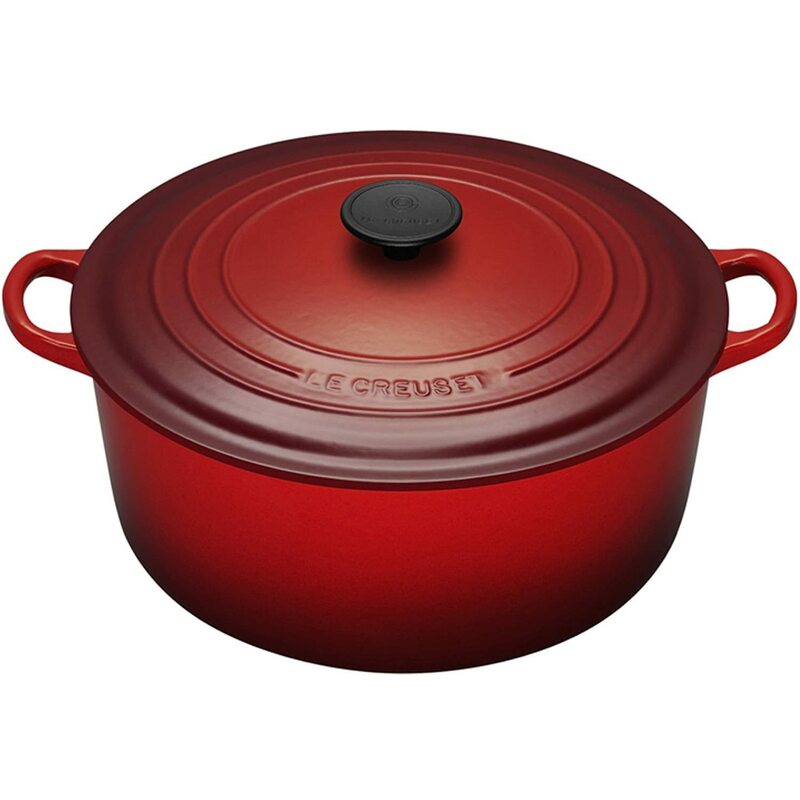 Made in France, each pot is cast iron and enamel coated, so no worrying about chemicals leaking into your food. I love the way my food cooks in them, especially my French Oven. The cast iron heats up and keeps a steady temperature to cook the food and is perfect for stews and braising. Shopping at Trader Joe’s over the weekend, I picked up a container of beautiful heirloom tomatoes. I admired the array of colors these tomatoes covered- red, yellow, purple and green- and wondered what I could make with them. 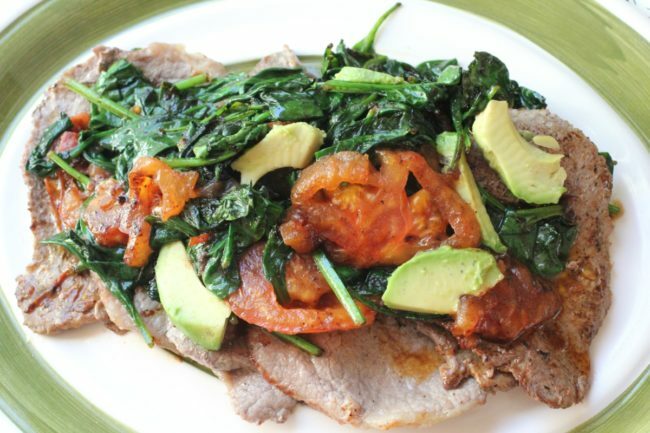 After grabbing some fresh avocados and a pound of brown rice pasta, I headed home to try out this simple recipe. 7.	shredded parmesan cheese- 8 oz. Place chicken breasts in shallow baking dish or large zip-top baggie for marinating. (If too thick, chicken breasts can be pounded thinner with a meat tenderizer between two sheets of plastic wrap.). Mix together marinade ingredients and pour over chicken, spreading evenly to coat chicken entirely. Chicken can be cooked on indoor grill or in skillet over medium-high heat. Cook chicken until both sides are brown and chicken is cooked thoroughly, approximately 7 minutes each side. Cook pasta in salted water until tender. While pasta is cooking, heat butter and garlic in a sauté pan over medium-high heat. Drain pasta and transfer to a serving bowl. Pour butter over the linguini, sprinkle with Parmesan cheese then toss. Slice bell peppers into thin strips. Top lettuce with bell peppers and avocado slices. Drizzle with dressing then toss. Serve Blackened Chicken over Linguini or Salad. Family meals are important. Iʼll show you easy ways to spend less time and money at the grocery store, less time in the kitchen and more time with your family. Never worry again about what you’re going to make for dinner. Cut your grocery shopping and dinner preparation time by up to 70%. Three months of our most popular menus from The Organized Cook™ Weekly Meal Plan System including grocery shopping lists, cooking instructions and lots of time and money saving tips in one book that's easy to fit in your purse. Start saving now! Save time and money at the grocery store and in the kitchen. Order Now. Sign up now to stay posted with news from Toni Spilsbury, The Organized Cook and receive your free Weekly Meal Plan. This material is the exclusive property of The Organized Cook, LLC. Any copying, modification, or distribution of these materials is strictly prohibited.